BUZZ: Hey, Marnie, the red wine I had last night was from 2012, but it said it was old right on the label. What gives? Marnie: I bet you're talking about wine from old grapevines, Buzz. You were probably drinking a zinfandel from California - am I right? Buzz: How did you know? Marnie: Just an educated guess. Some wines are labeled with the phrase "old vines" or its equivalent in other languages, like the French "Vieilles Vignes." Your wine likely came from vineyards planted before the California wine boom got rolling in the 1970s. The vast majority of these are zinfandels. Buzz: I always thought zinfandel was pink wine, but the one my wife bought was a big, strong red - just the way I like 'em. Marnie: Good news for you, then. 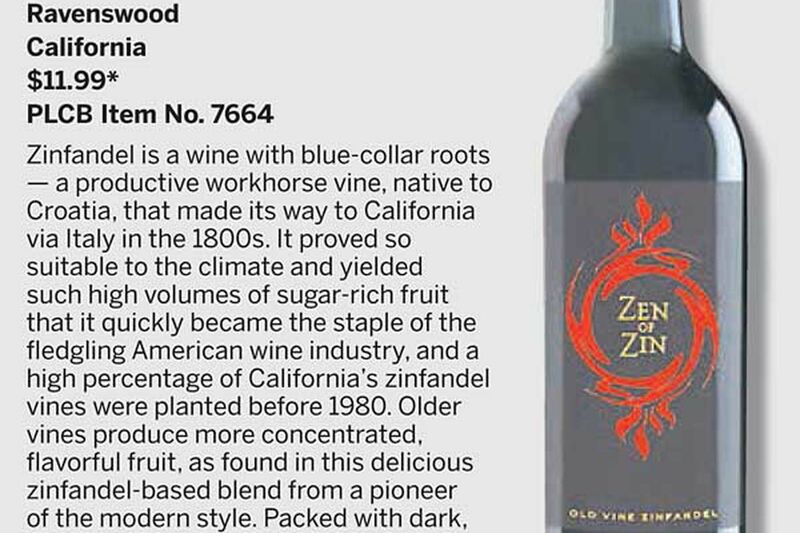 "Old vine" zinfandels start at bargain prices. Buzz: Great, but why does it matter that the vines are old? Marnie: Well, vines are like people in that they can live for about 100 years. They are most vigorous in their youth, but at roughly 30 or 40 years old they begin to slow down, just as we do. Vines are often ripped out and replanted before they reach 50, because their crop volume declines, but not always. Vines produce fewer grapes, but the quality of their grapes improves. Vintners like to keep some older vineyards around, and mentioning them on labels helps sustain demand for their superior wines. Buzz: Kinda like honoring senior citizens. Marnie: Yes, more or less. Older vineyards can get established in two ways. In Europe, vintners may hold off on replanting in some places, retaining older vines in the best sites to add complexity to their blend. But California's fine-wine industry isn't old enough yet for us to see this much. Most older vineyards there are in marginal sites less in demand for fancy grapes like cabernet and chardonnay - areas like the Central Valley or Sierra Foothills. Others may have been vineyards abandoned during Prohibition, when making wine was illegal. Buzz: Illegal to make wine? That's a crime against humanity.